I'm working on the second draft of my manuscript, and this last week I hit a point where I realized I was making my reader ask too many questions too soon. Some questions are good--they make the reader want to keep reading. Too many questions equals confusion, which was the direction my novel was going. 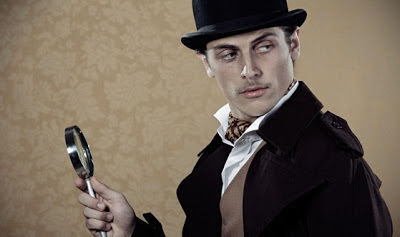 I love mystery, so while I'm writing fantasy, I'm also incorporating a lot of mystery, dropping hints and clues along the plot line and making the reader wonder and speculate. But too many questions too fast makes it difficult for readers to follow the plot. They can't keep track of what is going on. They can't even keep track of everything they should be wondering about. Answer some of the readers' questions. Provide more information before making them ask more questions. This might mean pushing answers toward the front of your story and moving other questions back. Eliminate questions. Are you trying to make too many things into a mystery? Tweak how you are presenting the info to your reader. Don't make them wonder. Tell them the info straight out and tell them as soon as possible. Let your characters question less and wonder less. The more your characters are wondering on paper, the more conscious your reader is of all the unsolved questions and mysteries. If you find that you are giving your reader too many questions, try changing your characters' response to them. Instead of having your heroine speculate, have her come to a conclusion (hopefully a wrong one) based on the info she has. Then let her be convinced that she's right. Connect your questions so that they really form one big question. Create an umbrella question. That way your reader won't be stuck with a dozen different, unrelated questions. So instead of wondering "How did the bomb get passed security?" "Whose spying on the protagonist?" and "Are George and Jasper really working together to commit murder?" You make the reader ask, "What is organization X up to?" (since organization X is involved in all of these situations.) Tie questions together. For me, I used a combination of three and four. 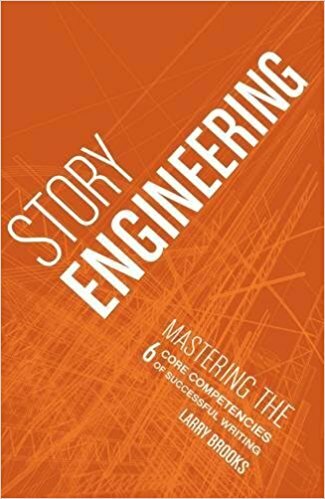 Instead of having my protagonist sitting around speculating, I made him come to a conclusion (that's partially wrong) that connects all of his questions. And he's convinced he's right. It made the story shape more interesting and actually helped me discover a whole new facet of my protagonist--one that I hadn't considered, but yet fit his character perfectly. I've also used techniques one and two in the past. I might need to use them still. I'll decide when I get to draft three. Konstanz Silverbow has an amazing work ethic and can write novels as fast as a kid eats Halloween candy. I've noticed that Konstanz is very friendly and very open to helping others. Despite others telling her she would never make it as a writer, she's kept going, and has a novel that will be available this fall. 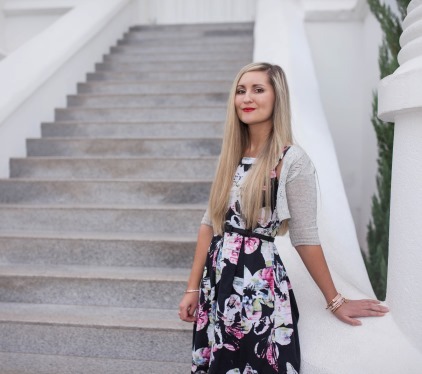 Follow her blog, follow her on twitter, or "like" her on Facebook. 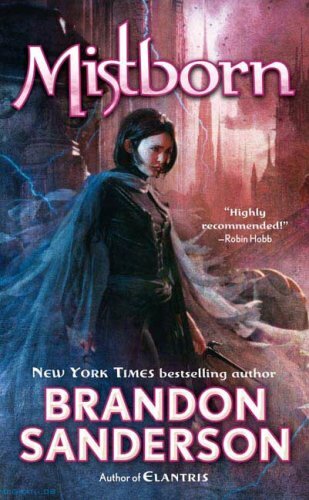 Mistborn is a high fantasy novel that will appeal to both hard fantasy fans and the casual fantasy reader. If you like fresh action, other worlds, magic systems, heists, and characters with personality, this one is for you. Though marketed for adults, one of the main characters is a 16-year-old girl, the other, the criminal mastermind, is an adult man, so the novel can capture both teenagers and adults, males and females, people who like intense fight scenes and people who like to dress up to attend political balls and possibly fall in love with a nobleman. I only had to get several pages into the novel to know that I was in the hands of a storytelling master. 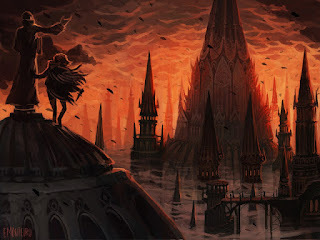 The narrative follows Kelsier, a charismatic, happy madman, who has escaped the clutches of the Lord Ruler (losing his wife in the process) and now plans to overthrow the Lord Ruler himself; and Vin, a poor, young girl who has learned to survive the slums of the criminal world by making herself invisible (figuratively) and trusting no one. The world they live on only rains ash, and mysterious mists seep into the streets every night. Society is basically split into two classes: the noblemen and the skaa--the slaves who support the noblemen and the Lord Ruler. 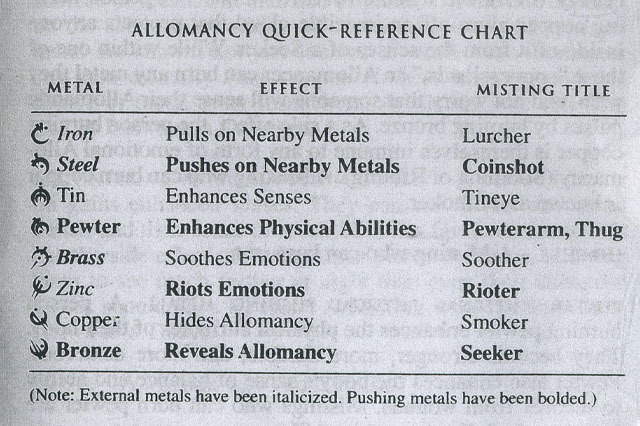 Many of the noblemen are Mistings, people who can ingest a specific metal to gain a special ability. Because the noblemen have raped skaa, some of the skaa are Mistings as well. 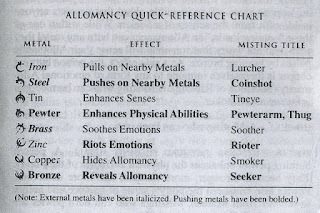 I have to say that the idea of people swallowing vials of metal that can enable them to influence others' emotions, pull and push on metallic objects without contact (think Magneto, sort of), and even affect time, was awesome! The action scenes Sanderson created with this "magic" were astounding! The set-up and plot were fresh. How many fantasy stories are there where the main character is pure, a prophecy has been made, and he has to defeat an epic villain? 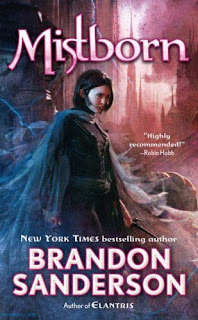 Mistborn turns that expectation upside down. We are in a world where the prophesied "Hero" has already failed, and we're following lovable thieves as they gather underground skaa armies, steal from the emperor, and impostor noblemen. The twists in the last third of the book were shocking, amazing, and satisfactory--there is no way anyone can see all of them coming. So how shocking is too shocking? When does it leave reasons one through three and veer into four? Katbaroo and Anonymous already beat me to it. It depends on your audience. Honestly, I think there are some stories that have shock strictly for the sake of it, but outside of that, it depends on the audience. What is shocking to one person isn't necessarily shocking to another. Last time I talked about the two scenes I found too shocking for me in Les Miserables. Anonymous didn't feel that they were too shocking, while Shane Halbach said his wife agreed, "on some level." People have different shock value ranges. So what's one secret to keeping your shocking content under control? Earlier, I discussed why you might want to shock your readers, and I also mentioned that if you decide to shock your readers, you want to make sure you don't overdo it. If you write content that is too shocking, it draws too much attention to itself and takes away from the point you are trying to make. 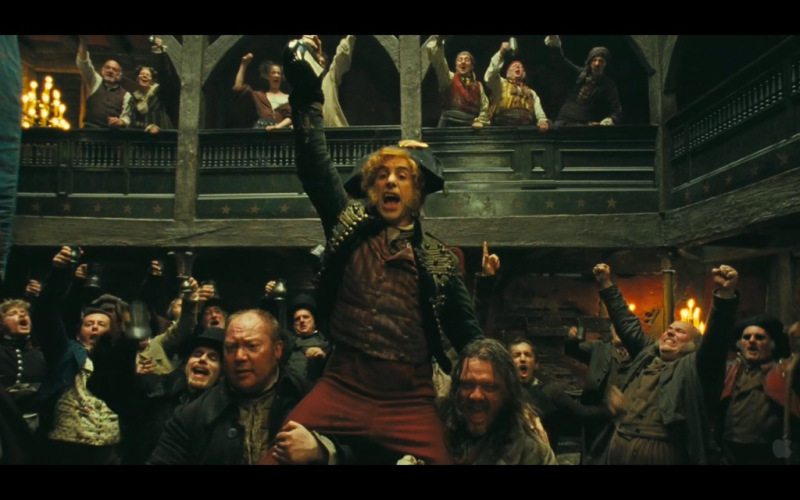 This is what I experienced when I saw the latest film adaptation of Les Miserables. 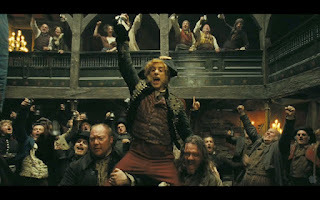 First, I'd like to say that I love Les Mis. But there were a couple of scene I found shocking, too shocking. Fantine’s whole prostitute experience was shocking. But it’s not gratuitous. It’s supposed to make viewers feel uncomfortable. It fulfills reasons one through three in my last post. But for me, it went to far. By the time Fantine actually sleeps with another man, I was too overwhelmed. The other scene that went too far was the “Master of the House” scene. I was fine, at first, but watching Santa in the bridal suite was too much. I understand they pulled Santa into that scene to illustrate what a twisted, perverted place the Master’s house was, but when they put him in bed, they way overdid it. So, these scenes took too much of my attention. In reality, Les Mis isn’t about Fantine's prostitution, or Santa in the bridal suite. Fantine’s experience is an element of the story, yes, but it isn’t the sum of the story. Jolting moments should add to the overall story, the theme, not take away from it. I know these two scenes took me away from the story because they lingered in my mind longer than they were supposed to. In fact, when I think of the movie, I first think of Valjean’s redemption, which is so powerful and wonderful, but within seconds, those two shocking scenes pop into my head. And I don’t want them to, because I loved the other parts of the movie so much more! 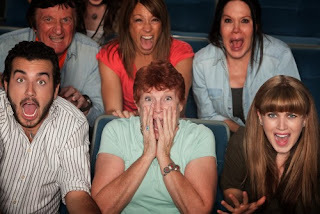 If you make a shocking scene too shocking, it becomes the very first thing viewers and readers discuss and remember.